Tortilla chips topped with, Whitey's chili, queso cheese sauce, jalapenos, tomatoes, onions, sour cream, and salsa. 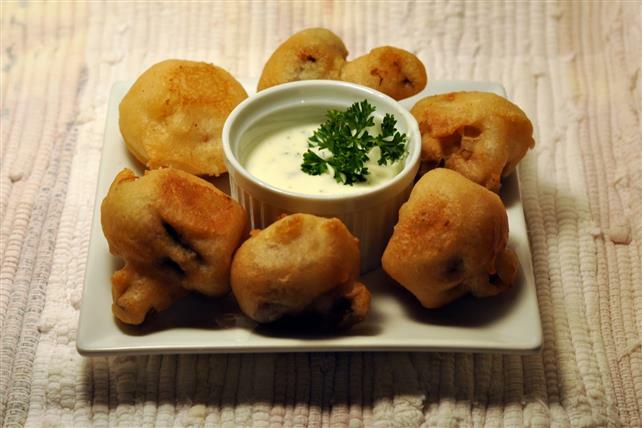 Jumbo mushrooms carefully hand-dipped in beer batter, deep dried golden brown and served with bistro sauce. 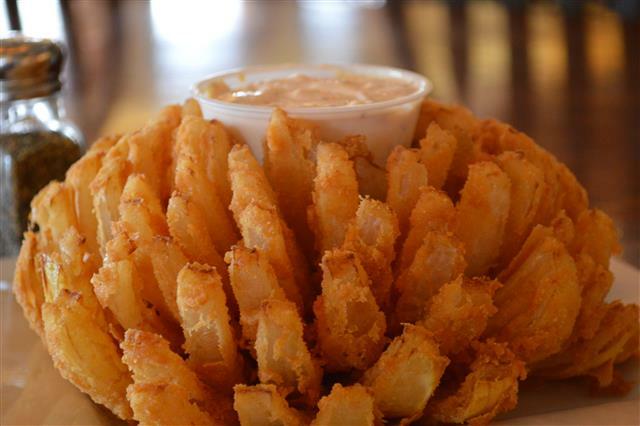 Bloomin' onion served with bistro sauce. Rich and creamy Alfredo topped with grilled chicken, broccoli, bacon and shredded cheddar cheese. 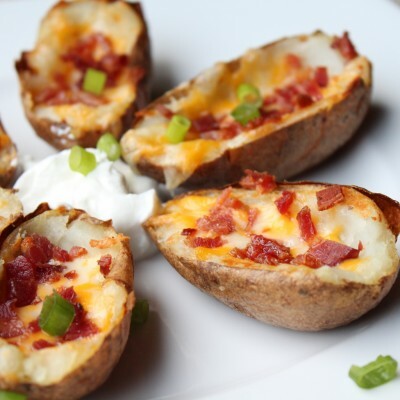 Topped with cheddar cheese and bacon. Served with sour cream. Deep-fried pretzel bites served with spicy mustard. Two small flour tortillas with shredded cheddar and a pico blend. Served with salsa and sour cream. A winning combination of our cheese quesadilla, boneless wings, potato skins and cheese planks. 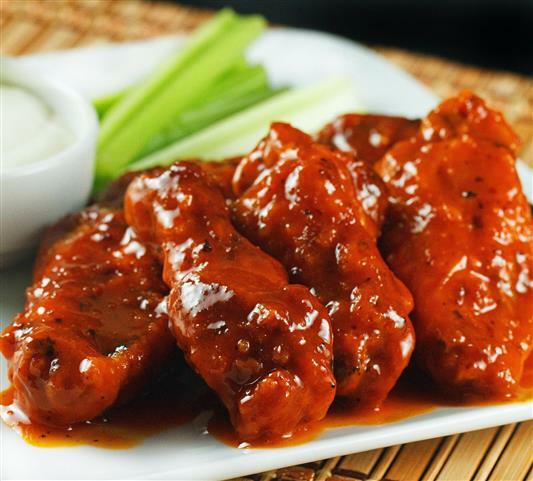 Fried fresh to order and seasoned with barbecue spices. Spread with herb and garlic boursin cheese, wild mushrooms, spinach and our three cheese blend. Brushed with olive oil and topped with grilled tenderloin, mushrooms, caramelized onions, roasted tomatoes, blue cheese crumbles and drizzled with balsamic glaze. 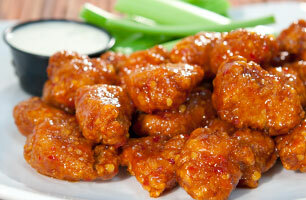 Lightly breaded cheese planks made with a delicious five-cheese blend then fried and served with tangy marinara sauce. Freshly chopped Romaine topped with a grilled salmon filet, tomatoes, walnuts, diced red onion, shredded Asiago cheese and served with choice of dressing..
Freshly chopped Romaine with cheddar cheese, tomato, egg and boneless wings in a mild wing sauce. 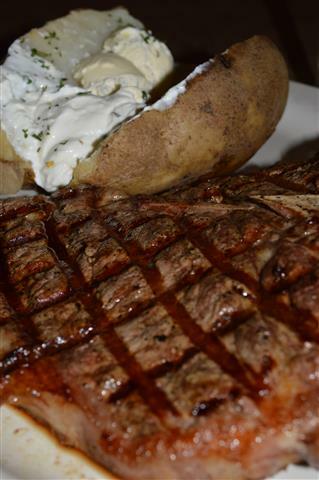 Served with bleu cheese dressing. Mixed greens with bleu cheese crumbles, dried cranberries, candied walnuts and grilled chicken, served with raspberry vinaigrette. Freshly chopped Romaine tossed with grilled chicken, pepper jack and cheddar cheese, black bean & corn salsa, tortilla chips. Served with fajita dressing. Crisp romaine lettuce accented with a crunchy croutons and fresh grated Asiago cheese, all tossed in our Caesar dressing. Grilled tenderloin sliced over freshly chopped Romaine with roasted tomato, diced egg, crumbled blue cheese, topped with our onion straws. Traditional-style, baked with croutons and topped with melted Swiss and parmesan. Our house chili with beef. 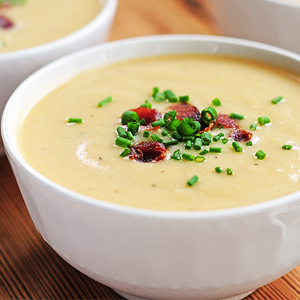 Homemade, steaming hot, rich, creamy and delicious. Rich and creamy alfredo topped with grilled Coleman's All Natural Chicken, broccoli, bacon and shredded cheddar cheese. 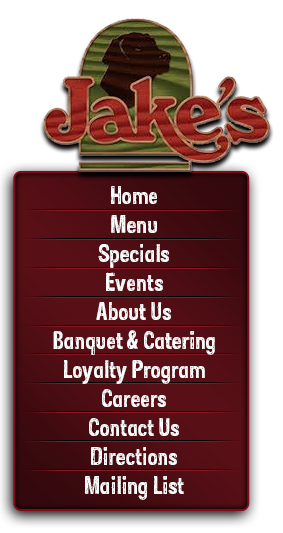 Breaded and seasoned chicken breast tenders fried golden brown served with French fries, homemade cole slaw and your choice of BBQ sauce or honey mustard. Hand-battered Alaskan Pollock, breaded shrimp and garlic shrimp, served with tartar sauce, cocktail sauce, homemade cole slaw and French fries. A juicy, marinated and grilled chicken breast served with long grain & wild rice and choice of one side. Char-grilled Atlantic salmon served with long grain & wild rice and broccoli. Spaghetti topped with traditional Bolognese with ground beef and pork, cream and burgundy wine. Served with a house salad and breadstick. Grilled chicken breast smothered in green peppers, onions, and mushrooms, topped with Monterrey Jack cheese and served with choice of a side and a house salad. A half pound breaded shrimp deep-fried and served with French fries, homemade cole slaw and cocktail sauce. Shrimp and crab tossed with fettuccine in a lobster Alfredo sauce and served with a house salad. 6 oz. sirloin with shrimp in a garlic butter served with choice of side. 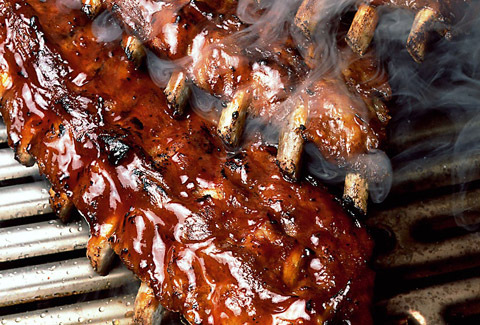 A grilled chicken breast glazed with barbeque sauce with half slab of baby back ribs served with French fries and homemade cole slaw. Penne pasta with marinara and creamy alfredo topped with breaded chicken breast strips. Served with a house salad and breadstick. 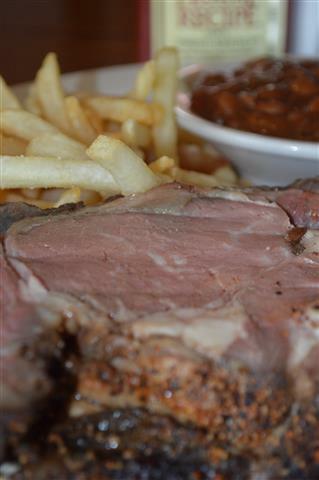 Our famous prime rib seasoned with Cajun spice and blackened served on a sizzling skillet with fried Yukon Gold potato wedges, mushrooms and onions. 6 oz. 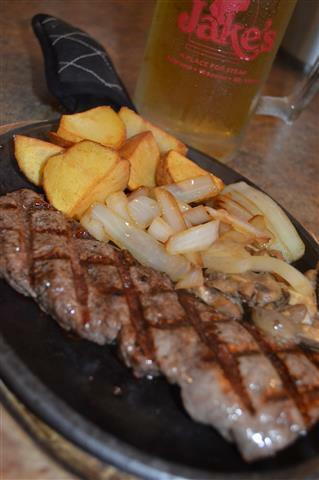 USDA choice sirloin served on a sizzling skillet with fried Yukon Gold potato wedges, mushrooms and onions. 9 oz. USDA choice sirloin lightly marinated in Cajun seasoning, served on a sizzling skillet with fried Yukon Gold potato wedges, mushrooms and onions. Twin medallions topped with herb and garlic boursin cheese and wild mushrooms, served with long grain and wild rice, root vegetables and drizzled with Jake's steak sauce.